Rime released on PS4 and Xbox one back on May 26th (read our full review here), but this is the first time you've been able to take it with you everywhere you go on Nintendo Switch. Rime is perfectly suited for both long play sessions and the quicker nature of those when on-the-go, but playing in Switch's portable mode does not come without some sacrifice. Immediately upon playing in portable mode I noticed a very obvious blurriness to the picture. Luckily, it does fade away (pun intended) as you move about the area exploring and solving puzzles, but it is noticeably present when stopping to enjoy the view. It does, however, mostly disappear when playing in docked mode. The art style and colors pop on the Switch’s display, each area flows from one unique style to another effortlessly. I thoroughly enjoyed exploring the beautiful landscapes. When we originally reviewed Rime on the PS4, Dennis mentioned there was a bit of slowdown intermittently through his play time. Here on the Switch, in my experience, things have been slightly worsened. In both portable and in docked mode, frame rate drops were frequent. Any time the camera was spun around quickly, the player is in a wide open area, and more curiously in cutscenes, frames stuttered heavily. One time while crossing a suspended bridge I fell off due to the almost standstill the poor frame rate caused, requiring me to find my way back to the correct path. The control scheme is quite easy to grasp as there are only a couple of ways to interact with objects and the environment around you, but the clever map design and puzzles never fail to keep you entertained. The gameplay evokes the same sense of wonder as classics such as Ico and Journey, while taking them a step farther by sprinkling in just the right amount of Zelda. Combine all that with a soundtrack that is absolutely mesmerizing and you have a recipe for success. Rime on the switch is still an absolute delight to experience. Whether you only have fifteen minutes or a couple of hours, you won't feel like you've wasted your time. 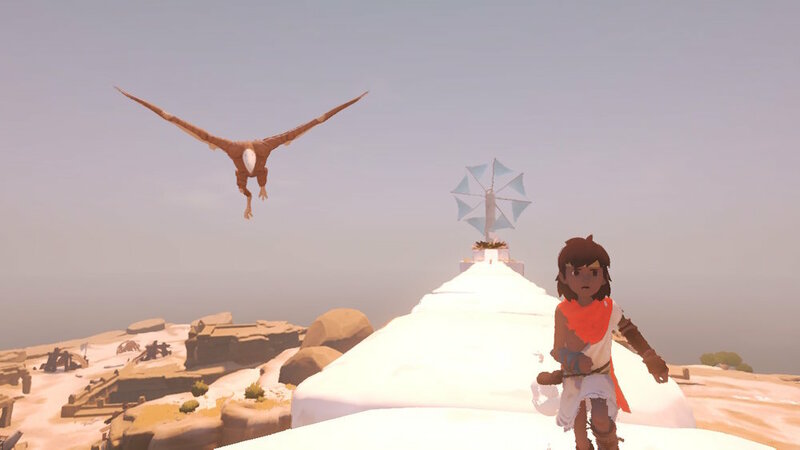 If you only have a Switch I highly recommend giving Rime some of your time, but if you do have a PS4 or Xbox one your experience might be slightly less frustrating- but only sightly.